Alarms and Events (A&E) Historian analyzes and diagnoses critical alarm information in real-time using standard database queries. Simply connect to an OPC Server, and start collecting A&E data instantly in a single repository. It consolidates A&E data from many data sources of major control systems, interoperates with all compliant A&E OPC servers, and leverages typical reporting tools such as Microsoft Excel and others. LAH43-86-000A VCA high-force, housed actuator produces 310 lbs. of peak force (80 lbs. continuously) with ±0.625 inches of stroke. The unit’s self-aligning feature makes it easily adaptable to new applications. The advantages of voice-coil technology and the self-alignment feature make it well-suited for valve actuation, pick and place, mirror steering and pumps for metering and dosing in the industrial, medical, scientific, semiconductor/electronics and other industries. 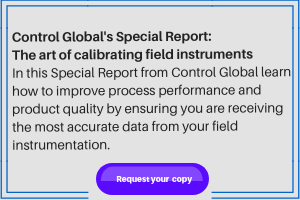 This instrumentation for aeration control package is geared specifically toward advanced aeration control strategies. Instruments available measure dissolved oxygen, nitrate, ammonium, pH, suspended solids, temperature, air flow rates, air pressures and water levels in aeration basins to provide enhanced and reliable control of a process. It easily connects to any plant’s PLC or SCADA system via 4-20mA with HART, Profibus or other digital interfaces. Primary savings come from controlling air flow. LS-10 liquid level transmitter performs economically and reliably in a wide variety of level measurement applications. It provides a signal output of 4-20mA and an accuracy of 0.25% of span. Standard stocked pressure ranges are assembled with any length cable for fast delivery. It is suitable for environments associated with level measurement including water and wastewater treatment, well depth measurement, and offshore water depth measurement. Viscoline in-line process rheometer provides in-line, continuous measurement of fluid viscosity for process control and monitoring applications. It is simple and efficient, with all stainless-steel construction, no moving parts and no in-situ calibration required. It features continuous measurement with analog or digital outputs. The unit has a repeatability of 0.2%, resolution to 0.1cP, and meets government policy on metrological traceability. The Magnehelic differential pressure gage is available in a flame-proof ATEX enclosure. The ATEX-approved AT22000 Series indicates positive, negative or differential pressures, and is accurate to within 2%. With the flame-proof enclosure, it’s the perfect choice for a myriad of differential pressure applications in hazardous areas. Flame-proof ATEX enclosures are available in aluminum, and can include a glass window for viewing pressure status on the gage face.